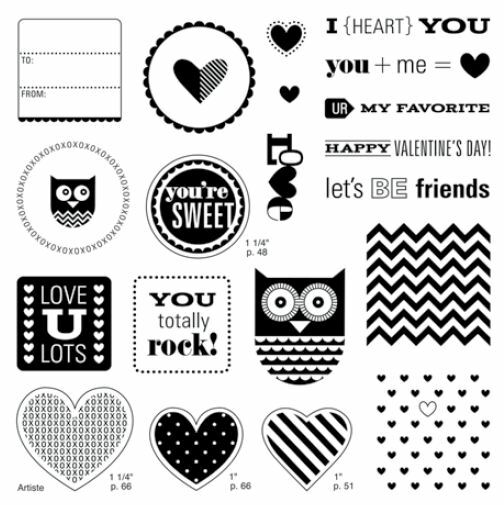 January SOTM "Happy Valentine's" Blog Hop! If you've just arrived here from PAMELA'S BLOG then you are on the correct path. This standard-size card design featuring the La Belle Vie papers (X7158B) is inspired by Originals - Sweet & Simple (p. 108). Images were stamped with Black Staz-On ink and colored in with Smokey Plum and Sweet Leaf markers. Edge distressing is done with a sponge dauber and Desert Sand ink. Notice how I colored the adhesive-backed bling gem (from the Boutique assortment Z1763) with a Smokey Plum marker. Our NEW alcohol-based markers can be used to color any of our clear sparkles and pearl adhesive gems nicely! I hope you will try it out!! that is available during January 2013 only! by visiting WANDA'S BLOG next! Enjoy!! "Whooo's Your Valentine?" 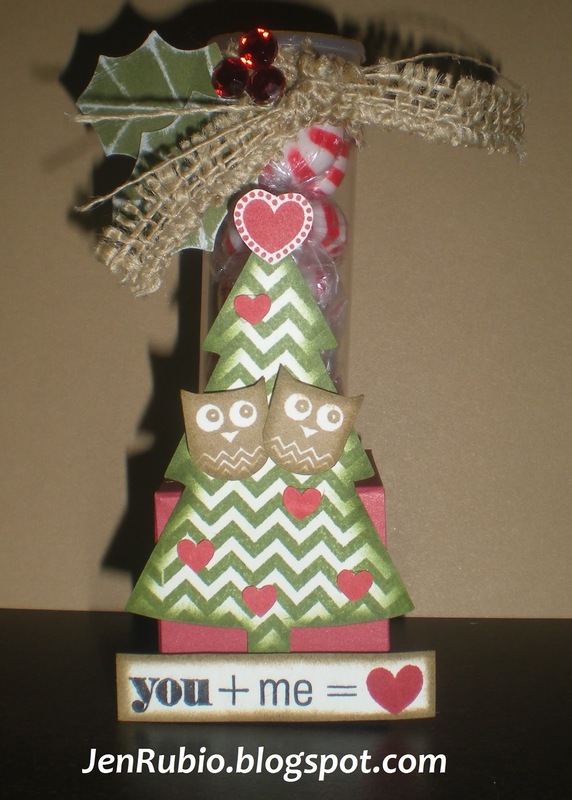 Blog Hop!! If you've just arrived here from Heather's blog then you are on the correct path. While this kit makes fun little Valentine's gifts when used as shown (3rd image below), I thought it would be fun to show you how you can change it up just a little and use it to create Christmas-y treats to give this holiday season as well! I simply stuffed the tube with peppermint candies and used a little Colonial White and Olive Green cardstock that I already had on hand (ink colors I used are Black, Cranberry, Olive, and Saddle). I cut the Christmas Tree from Colonial White cardstock (AP cartridge at 3") and the Holly Leaves from Olive cardstock (AP cartridge at 1.75"). 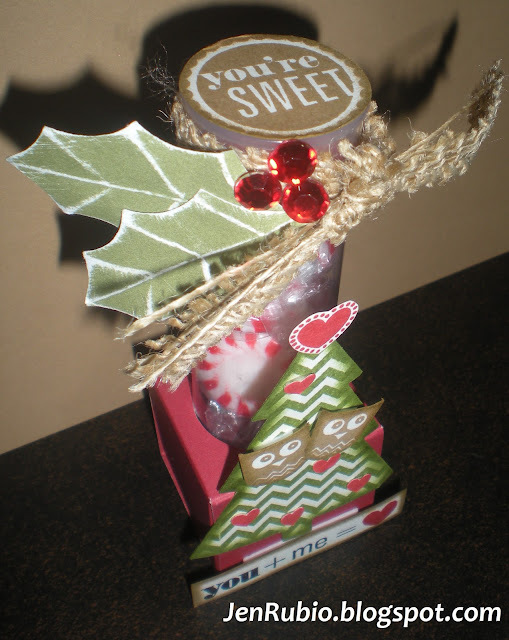 3-D foam mounting tape gives many of my elements some dimension and I topped it off with a little bit of Burlap Ribbon and Red Sparkles (adhesive gems). My husband Jose and I will be celebrating our 18th wedding anniversary on December 17th, so I thought this would be a nice little gift for me to give him along with a few other things, next week. 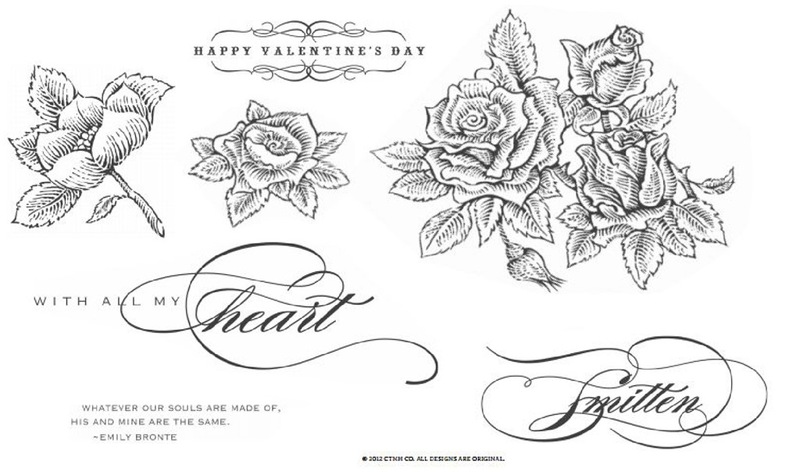 This darling kit, which retails for $40, can be yours for only $10 when you spend $35 or more on any Close To My Heart products from the Autumn/Winter 2012 Idea Book between December 13th and January 31, 2013. You’ll receive 12 die-cut boxes, 3 cardstock sheets, 1 sheet of silver glitter paper, 12 treat tubes, and an exclusive D-size stamp set created specifically for the kit. This kit offers you a sneak peek at two NEW Spring/Summer 2013 products: the treat tubes and the silver glitter paper! Decorate the die-cut boxes with the stamp images, cardstock, and glitter paper. 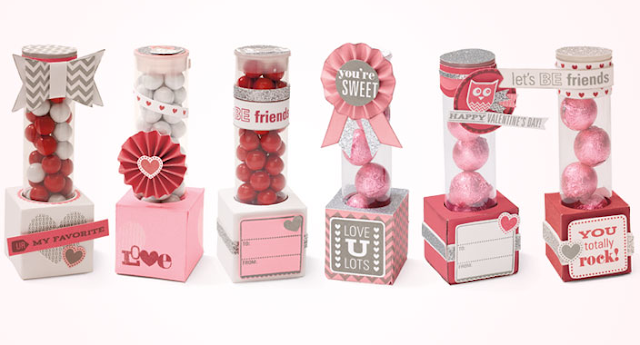 Then attach the clear tube and fill with treats for valentines in a cinch! 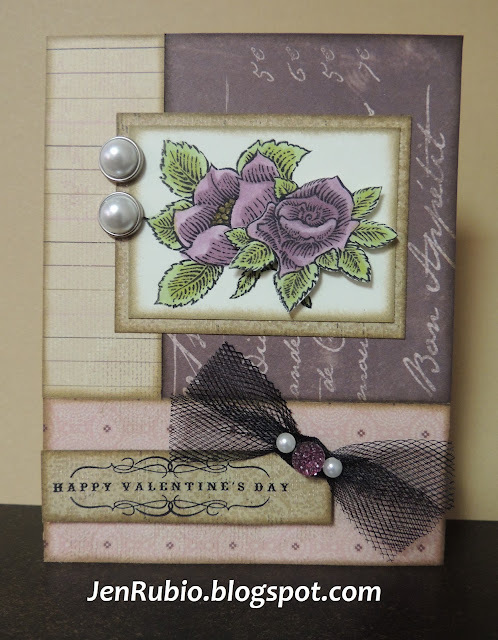 Now you can continue on with our Blog Hop to be inspired by more creativity using this kit and/or stamp set by visiting Fancy Melissa's blog next! Enjoy! !